New to Sports Parenting? You must be super excited, and so must be your little one; the new uniform, new sports gear, and the inflated (secret) sense of pride! Here’s a starter for you – the excitement has just begun, so has the pride and prejudice. 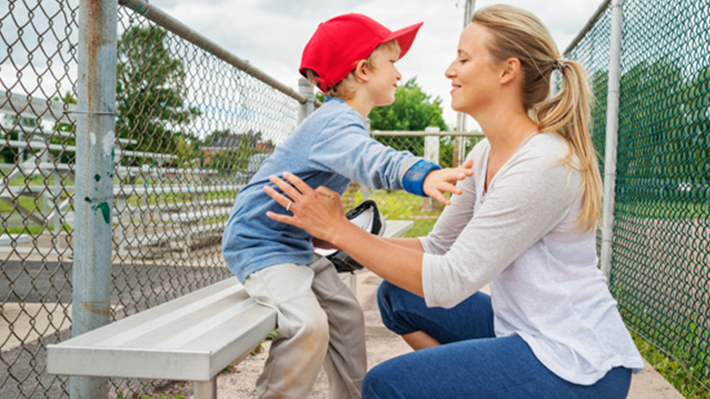 There’s so much to sports parenting - so much of running around to do, so many mood tantrums to take care of, so much of psychic counseling, emotional bracing, role juggling, and yes, so many obvious and ancillary expenses to take care of. If this sounds like a scare, here’s the takeaway for sports parents; your child will learn some of the best lessons in life you can ever teach – fitness, teamwork, discipline, hard-work, dignity, self-esteem, ability to take challenges head-on, maturity to lose gracefully, and so much more. And if your child goes on to make a career in sports, it’ll be an added boon. · First-aid box – Stock up medical essentials in a box. You might have your own list, but here’s a little help: muscle rub, pain relief spray, painkillers, antiseptic cream, bandages, ice pack, sunscreen, mosquito repellents, anti-allergy, and anything else that you can think of using in an emergency. · Toiletries – Although fields have bathrooms, but it’s always advisable to be ready for a bathroom emergency. It would be a good idea to carry your own toilet paper, hand sanitizer, hand and face wipes, a few zipper bags, liquid soap if possible. · Old newspaper/sheet – This will come in handy for so many things like keeping the gear clean even if you have to keep things on the ground. These will certainly come in handy when you have to keep soiled gear in the car. · Set up a carpool group with other parents from the team. This will help keep the work, home and game balance well. · Give your child the time and space to relate to the game and like it. Don’t burden her with arbitrary expectations. · Never burden your child with your sports ambition. Not every child who plays goes pro, but every child who plays learns life lessons that shape up character. · Do not be tempted with the carrot of college scholarship. The whole orientation of the game changes. And here’s the most important thing that every sports parent must remember, let the kid enjoy the game, the learning will fall in place; teach your child to be happy, success will fall in place.